It was a good intention gone wrong. Yesterday, Carousell user featherlit posted a listing which caught the attention of not only the Internet, but even Channel 8’s news. 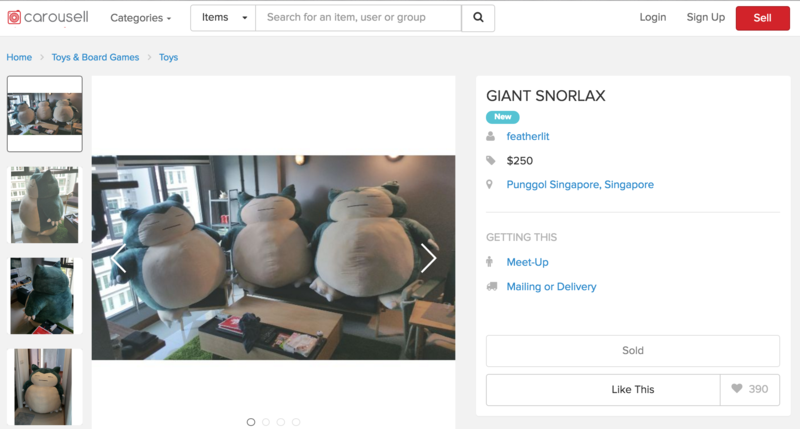 He even took to Facebook and shared his story on Pokemon GO Punggol’s group, possibly as a bid to appeal to an even larger crowd who obviously loves their Snorlax. 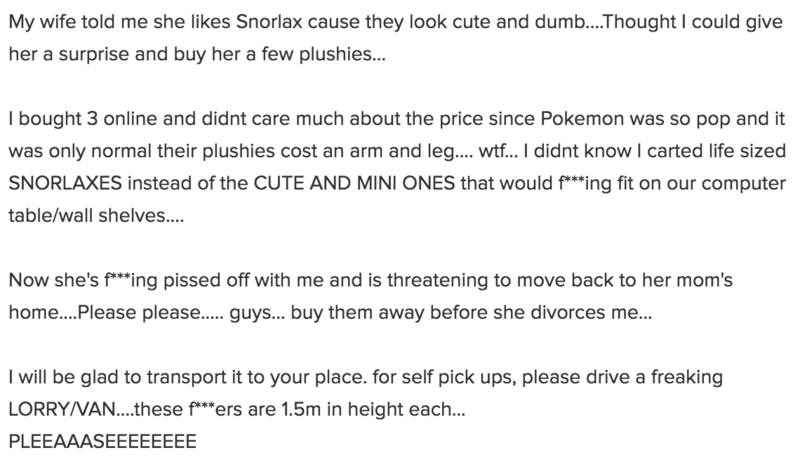 A kind soul also shared his post on the 70k+ member Pokemon GO Singapore group. At around midnight, local news/entertainment outlet Channel 8 also ran the story, and reported that all 3 fellas were already sold out. However, there were some who were theorising that he might have used this as an opportunity to make a quick buck. It’s honestly difficult to say if he got the original from Premium Bandai or a knockoff online, but the former would have cost him 52,000yen (~S$694) – and this is without shipping costs. So if we were to give him to benefit of the doubt…S$250 is really quite a bargain. Needless to say, the fact that there are a few Singaporeans out there willing to take that chance and sacrifice their home space for a fellow Singaporean in crisis is definitely heartwarming. 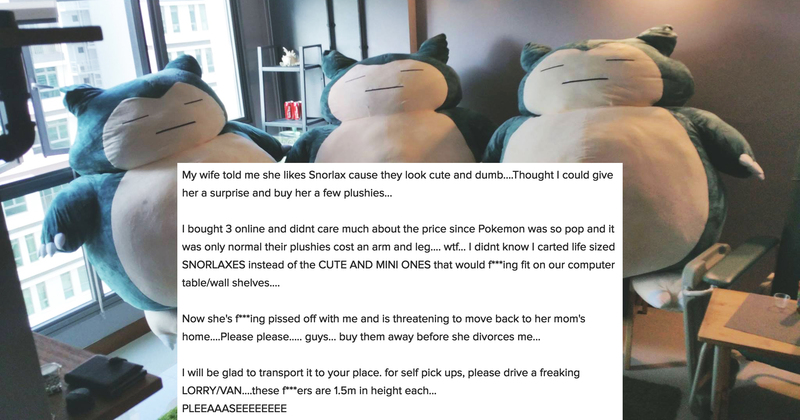 Would you have bought the Snorlax from him? Let us know!